Almenrausch, San Francisco, California was awarded the prize but it was later discovered that it should have gone to D'Oberlandler, Los Angeles because Almenrausch had not performed an Ehrentanz. 22. 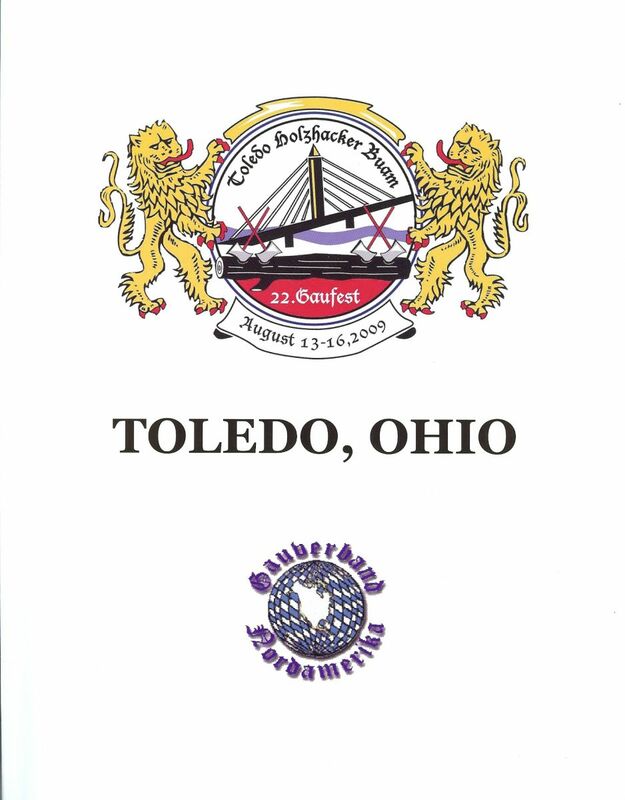 Gaufest 2009 Hosted by Bavarian Sports Club - Holzhackerbuam of Toledo, Ohio. Want to read about the Gaufest? see photos? Look at the September 2009 "Gauzeitung" issue + photo insert at this link: 2009 Gauzeitung Issues, then scroll to the bottom of the page for the link to all of the 2009 Gauzeitung issues. Many of the activities were hosted at the German-American Society of Toledo's Oak Shade Grove. The huge tent on the grounds was the site of the Festabend (Saturday) and Sunday's Festtag. First time a harpist played; first time 6 zithers played for a Festgottesdienst. Toledo had a record high of 94 degrees on Sunday.